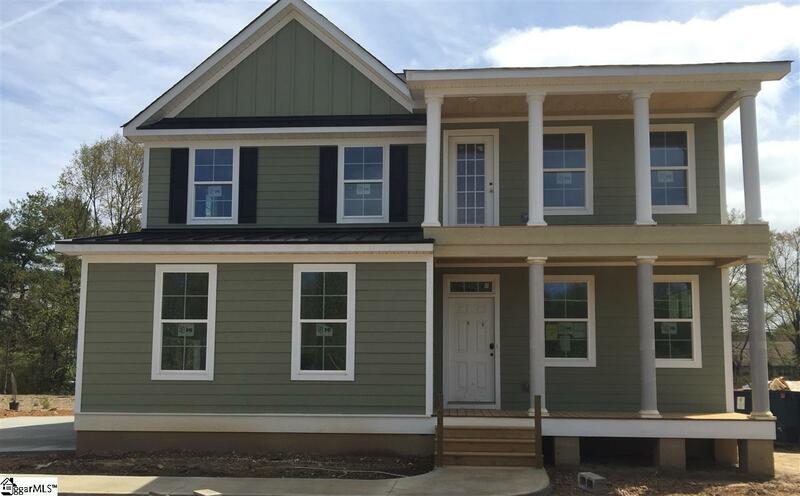 Brand New two story home tucked away in the heart of Woodruff Road. Unique to other new construction in the area this beautiful home sits on a gorgeous 1/2 acre home site with no HOA, and comes complete with full sod and irrigation package. This home boasts low country style with double front porches and has a side entry garage and screened porch. Inside you will find, Quartz counters, wood flooring, tile in the bathrooms and laundry. A fireplace, an open floor plan with volume and a master suite on the first floor. A huge media room/ loft on the 2nd floor , with 2 full baths and 3 more bedrooms. This fabulous home will be complete in May, and is awaiting its new owner.The seller is offering to pay most closing cost with the use of preferred lender and closing attorney. Come and see your new home today! Listing provided courtesy of Kimberlee Anderson of New Home Star Sc, Llc.